If you look at a document as nothing more than a disconnected Web page, Branchfire has an app for you: Folia. Folia, available for free for the iPad, OS X, Android, and Windows 8, is a really bare-bones word processor—enough that, in a demonstration, it will likely remind you more of a notepad application than a rival for Microsoft Word or any other word processor. But that’s not stopping Ravi Bhat, the chief executive of Branchfire, for talking it up. “This is what the word processor should have been from the beginning as far as I’m concerned,” he said in an interview. As you might expect, Folia allows you to type and format text. But it’s when you want to forge a link to another document that the software comes alive. 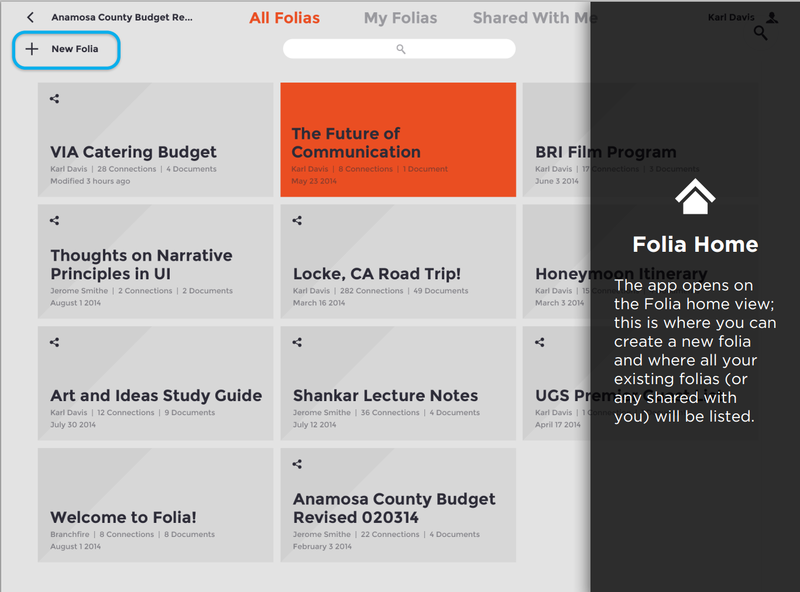 After you log in, you’ll see the Folia home screen with a list of “folias” that you can edit and share. As you might expect, users can highlight a word or phrase with Folia, then connect it elsewhere. Users select a document—not just a Web page, but a PDF, Word or PowerPoint document, or image—which is stored in a user’s “library” of content. Users can then mark up the target document in one of three ways: by highlighting text on the target document, by striking out text on the target document, or by “framing” it with a callout box. In each, users can call out changes made to the target document in a separate text box, explaining what the viewer should be focusing upon, and why. Target documents can be marked up with text highlighting, strikethrough, or images than can be “framed” or highlighted. 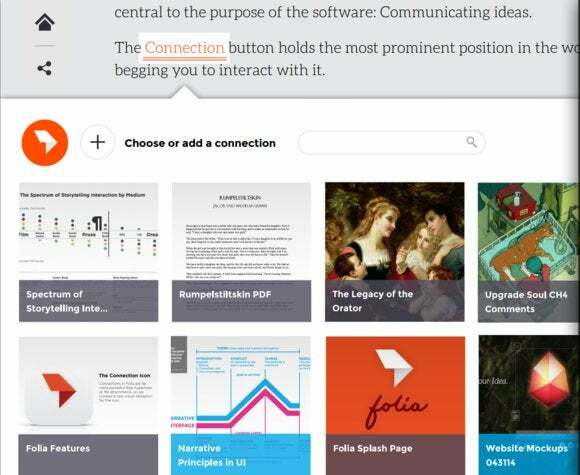 The Folia documents themselves can be synced across the various platforms, providing a OneNote-like experience within the Folia context. And, naturally, they can also be shared. At this point, Folia is a fairly specialized tool for specific applications. 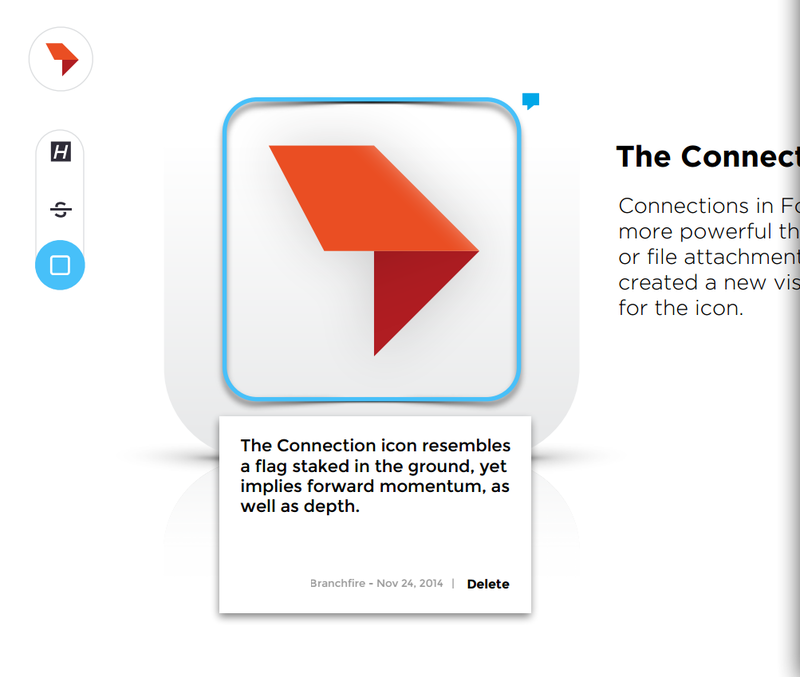 And users may find that they can approximate its functionality through other annotation apps. (You'll find conceptual similarities to Genius, once known as Rap Genius, for example.) Still, as it’s free, it might be worth a spin. It goes live in the various platforms' app stores today.